Reggae and hip-hop-infused dance group Major Lazer is releasing a new LP and touring the coasts. 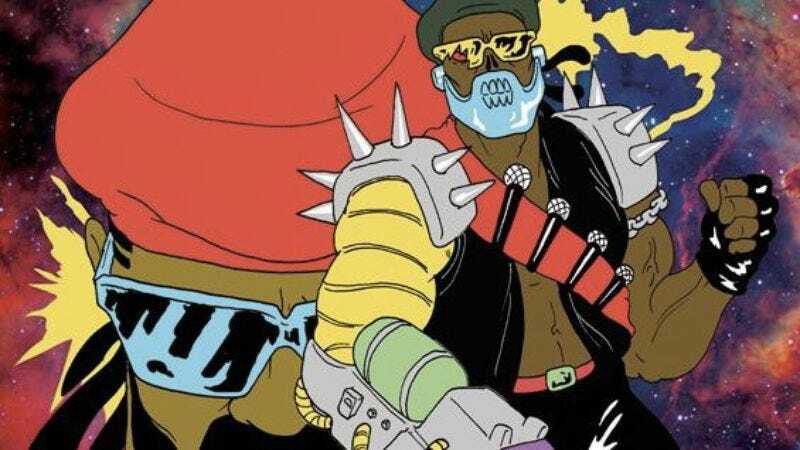 Now under the exclusive artistic direction of Diplo—his fellow DJ Switch having left late last year—Major Lazer will release Free The Universe on Nov. 6. The record features collaborations with Bruno Mars, Tyga, Flux Pavilion, Wynter Gordon, Shaggy, Wyclef Jean, Dev, and Vampire Weekend’s Ezra Koenig. The latest single, “Get Free,” features Dirty Projectors' Amber Coffman. Diplo cited “artistic differences” for Switch’s departure from the group in an interview in 2011. Unfortunately, Major Lazer’s hypeman Skerrit Bwoy has also left the group, after recently finding God.